Related to my previous posting, I came to know that a 'clarification' on what Lobsang Sangay, the Tibetan 'Prime Minister' (Sikyong) said in Washington DC, has been issued by his Office on May 16. It does not exactly answer my concerns about India's territorial integrity, however an interview with the Dalai Lama, exactly 10 years ago, for India Abroad (the US-based weekly from the Rediff.com Group) clarifies the issue from the Dalai Lama perspective. This is to clarify some misinterpretation about Sikyong Dr Lobsang Sangay’s talk on Tibet at the Council on Foreign Relations (CFR) in Washington on 8 May 2013, which was covered by AFP and other media. In his talk at CFR, the Sikyong was referring to the socialist system of China at the national level. The Middle-Way policy seeks genuine autonomy within the framework of the Chinese constitution which obviously requires restructuring of the existing system to include all the Tibetan areas under one single administration and implementation of Chinese laws. Also in an Op-Ed by Nicholas Kristoff in the New York Times on 6 August 2008, His Holiness the Dalai Lama had stated that he can accept the socialist system of China if genuine autonomy is granted to Tibetans. The Sikyong has consistently maintained that the occupation of Tibet and repression of Tibetans are the causes of protest through self-immolation by Tibetans. Claude: Does China agree with you on the geographical definition of Tibet? Or do they consider only the Tibetan Autonomous Region (TAR), excluding the eastern provinces of Amdo and Kham from the purview of the discussions? His Holiness the Dalai Lama: Since the Chinese constitution provides the principle of autonomy for all the Tibetan ethnic people, we are trying to get similar rights for all Tibetans [from the TAR and other provinces]. I do not know [if they will accept], we shall see. We have always been concerned by ALL Tibetans, not only the ones residing in the TAR. 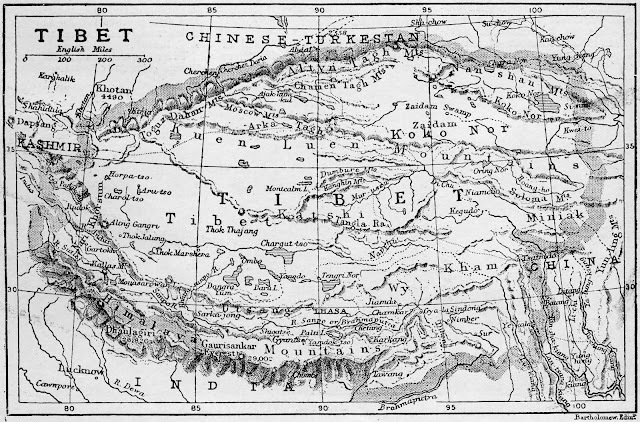 If we were seeking separation [from China], then, of course, demanding the other territories [the provinces of Amdo and Kham] would be something difficult [for the Chinese to accept]. But as we have decided to remain within the People’s Republic of China, then, it is reasonable that all the ethnic Tibetans get the same rights. How can we make discrimination between Tibetans inside TAR and those outside? Claude: What do you mean by “genuine autonomy” for Tibetans with the People’s Republic of China? His Holiness the Dalai Lama: Foreign Affairs and defense will be carried by the Central government. In other words, Tibetans should have the final authority in all the matters that they can handle better. For example, for large scale factories, we might not be able to manage, so we will take Chinese expertise and help. Of course, for Foreign and Defense, which are themselves large subjects, we need the help of the Chinese. Claude: Suppose tomorrow, the Chinese accept your formula and you leave with them defense matters. The next day, they plan a war against India. What will you do in such a case? His Holiness the Dalai Lama: (Thinking deeply). As a Tibetan, it is impossible to think of shooting an Indian. In fact, once a few Indian journalists came here, they were seating where you are today and I explained to them the concept of “genuine autonomy”. I told them jokingly “it is unthinkable for a Tibetan to open fire towards India, so let the Chinese do that”. It was a joke (laughing). But in case such a serious situation develops, of course, I will try my best to cool down the conflict, first as a person devoted to peace and against violence, I will express myself and try [to solve the conflict].Then the best part of my life has been spent in India. India is also the home of our spirituality, the home of Buddhadharma. For me, the sino-indian relations are so important; conflict should be avoided at any cost. It is what I think. Claude: Do you see any role for India to facilitate an acceptable solution between the Tibetans and Beijing? His Holiness the Dalai Lama: Theoretically, morally India should do something, but how much India can do, I do not know. Claude: You proposed to transform Tibet into a “zone of Ahimsa”. Will it not help solving many security problems for India? His Holiness the Dalai Lama: Yes, certainly.